Leave message and phone call/email will be returned. 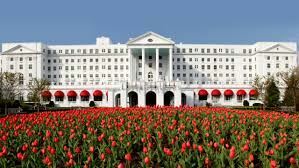 The Greenbrier in West Virginia has been an iconic American resort and spa since 1778 -- and a top destination for physicians, pilot-physicians and their families. Join physician-pilots and their families at The Greenbrier for a memorable meeting you will not forget! Registration is open. Complete all information on the web site and register using a credit card or a check. HOTEL GUEST ROOM BOOKING: The FPA guest room block has been filled. There are a limited number of guest room suites with multiple bedrooms (2 or more) and a few Gable rooms available at the market rate. Group: Flying Physicians Association Inc.
Arrivals KLWB or Amtrak White Sulphur Springs or by car. Local Arrangements Committee transport available 11 am - 5 pm from KLWB. Continued arrivals all day - Local Arrangements Committee pickup available at the airport. 12:45 - 1:30 pm Optional Course "Stop the Bleed" including lunch and certification. Limited to 8 registrants. Register in advance. 2 - 3 pm Optional Group Gambling Tutorial. Limited to 20. Register in advance. 3:07 pm Optional Scramble Golf. 3:00 pm Optional Group Falconry Demo. Limited to 25. Register in advance. Transport to KLWB by Local Arrangements Committee transport available. 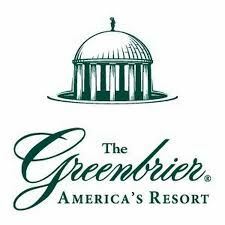 Click here for THE story behind the re-opened Greenbrier Resort.